Mezcal has resurfaced as a vital part of gourmet food in response to the growing trend to highlight Mexican culinary traditions. 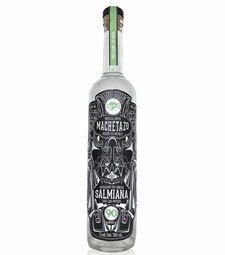 It is during the rebirth of mezcal that Mayalen’s mission to preserve this part of our heritage embedded in generational family customs began in the state of Guerrero. 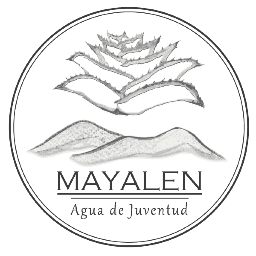 Mezcal Mayalen proudly presents Agua de Juventud, or Water of Youth, from the mountains of Guerrero. Our product is 100% hand-crafted and organic. Climate, water, and soil conditions have a direct effect on its resulting quality. For this reason, the location of the palenque is ideal as we have yearlong access to natural spring water. At Mezcal Mayalen, we respect the uniqueness of each lot and its original essence. Mayalen is a 100% handcrafted product which follows organic standards in its production. Climate, water, and soil conditions have a direct effect on its resulting quality. For this reason, the location of our distillery is ideal as we have yearlong access to natural spring water. Each step in the production process is carefully carried out, ensuring a distinguished product in every bottle. 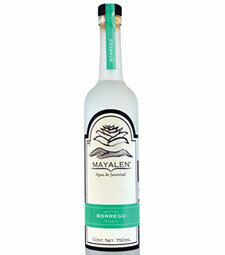 In Mezcal Mayalen we respect the characteristics of each double-distilled lot in its original essence. We are focused on the design of a high-quality, delicate beverage using only wild agaves for the elaboration of our product varieties. The product’s elegance will satisfy even the most demanding consumers at an international level. The raw material that we use as a base for all our products is an agave species called Wild Cupreata. This agave is very similar to the Tobala agave except that it has a much larger core or piña, which is what mezcal is produced from. Cupreata agaves only grow in Michoacan or Guerrero at a minimum altitude of 1,050 meters. 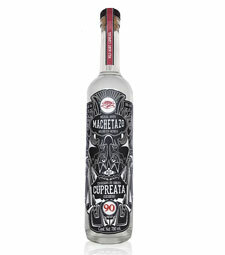 Our Wild Cupreata and Guerrero expressions are comparable to the Tobala Del Maguey expression in quality and rareness of the agave. Agave plants have to reach a specific level of maturity of roughly seven years before they can be cut. It is essential that the master cutter severs the outer edge of the heart of the maguey perfectly. The Wild Cupreata agaves used in the palenque’s production grow on the mountaintops. The only way to reach them is on foot, and donkeys are used to transport the large agave pieces back to the distillery. Once the agave is hauled to the palenque, the pinas are strategically placed upon an underground stone oven. It takes an average of three days for the agave lot to be thoroughly cooked. Once cooked, the pieces are taken to a large circular rock foundation, modeled after an Egyptian mill. A horse is used to draw a stone wheel that crushes the agave pieces until a specific consistency is reached. After having crused the agave, the product is gathered and placed in aged wooden barrels, allowing the natural fermentation process to begin. This process takes around a week, depending on the weather and season. 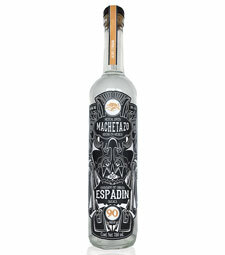 Lastly, the product is carefully placed in a large copper still where the concentrated agave is double-distilled. The wood used for the fermentation barrels is normally Ayacahuite wood, which is a Mexican white tree that grows in the mountains of southern Mexico, especially in Guerrero where our mezcal is produced. The two types of wood used to roast the pinas are Huamuchil and Encino Wood. The wood is obtained through trees that are already old and dry, so as to preserve the forest and create and environmentally friendly culture in the region. The pinas are pit roasted – the wood heats the stones placed in the earthen oven, and then the pinas are placed on top. The stones used to cook the pinas are volcanic rocks. Each step in the production process is carefully carried out, ensuring a distinguished product in every bottle. 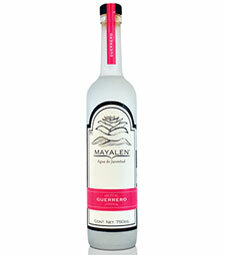 In Mezcal Mayalen we respect the characteristics of each double-distilled lot in its original essence. We are focused on the design of a high-quality, delicate beverage using only wild agaves for the elaboration of our product varieties. The product’s elegance will satisfy even the most demanding consumers at an international level.